Google’s annual developer conference ‘Google I/O’ is underway from 17th to 19th May. One of the most important product releases coming up later this summer is the latest version of Android Operating System – nicknamed Android O. I am assuming it’s a nickname as eventually all Android OS versions get named after confectioneries like KitKat, CupCake, Donut(for doughnut) and so on. Android O seems to be betting big on UX or User Experience based on what the keynote delved on. Dubbed as ‘Fluid Experiences’, UX improvements are focused on making day-to-day activities on mobile simpler and smoother. 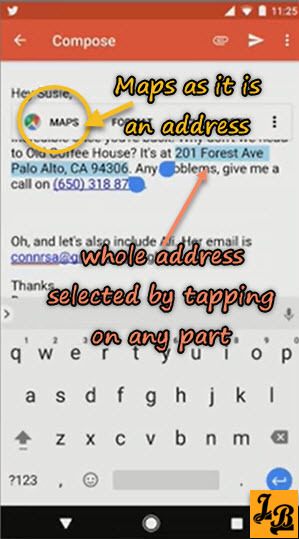 Here’s a look at the top new UX features in Android O.
Google has brought the power of machine learning to Gmail in terms of identifying businesses, places and things apart from phone numbers and addresses. So, selecting a number or a business name will no longer require playing tediously with selection handles. Instead, based on where you tap Google will understand what you are trying to select and select that whole text. Its like tapping on “York” to find whole word “New York” getting selected because Google has learnt through machine learning that the whole phrase “New York” is the name of a city. 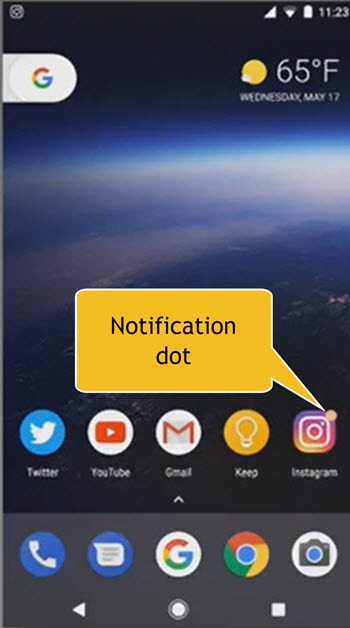 In addition, since Google now understands what the text means, tapping it also pops up contextual menu options to help with what you may want to do with that selected text. As an example, take a look at the image below. 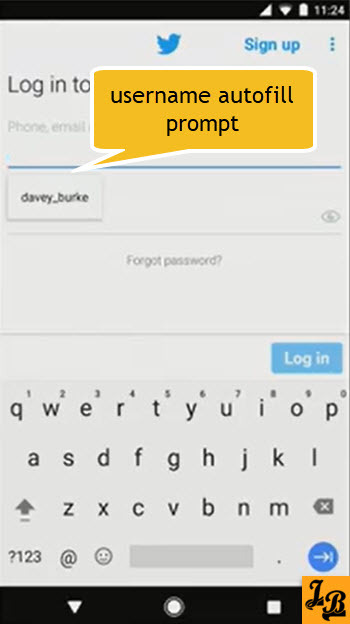 Here tapping on a word in an address has selected the whole address text. And, the contextual floating menu apart from showing the standard links, also shows a “Google Maps” link as you may want to search for that address using the Maps app next. Android was built with security in mind from day 1 with application sandboxing. 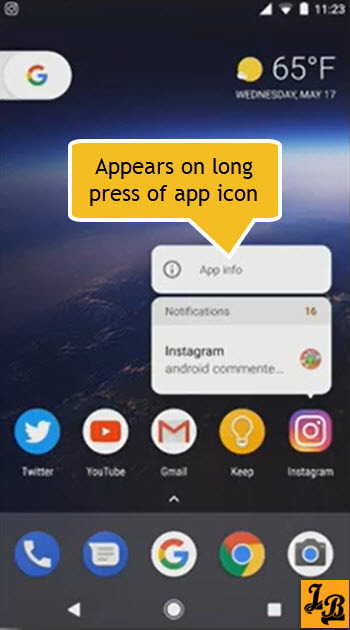 Today Google uses machine learning to continuously scan apps uploaded on Google Play and flags potentially harmful apps. This is apart from scanning installed apps on millions on millions of connected devices. With Android O, this security feature is becoming visible and accessible to the user with Google Play Protect. Google Play Protect scans the apps installed in your phone and notifies you in case it finds any harmful apps. To make Android start-up time and apps faster Google has invested in extensive improvements to the apps runtime. Enhancements such as concurrent compacting garbage collection and code locality boosts the performance of the apps and runtime at the OS-level. Another area of concern causing low performance in Android is the amount of system resources consumed by background apps i.e. 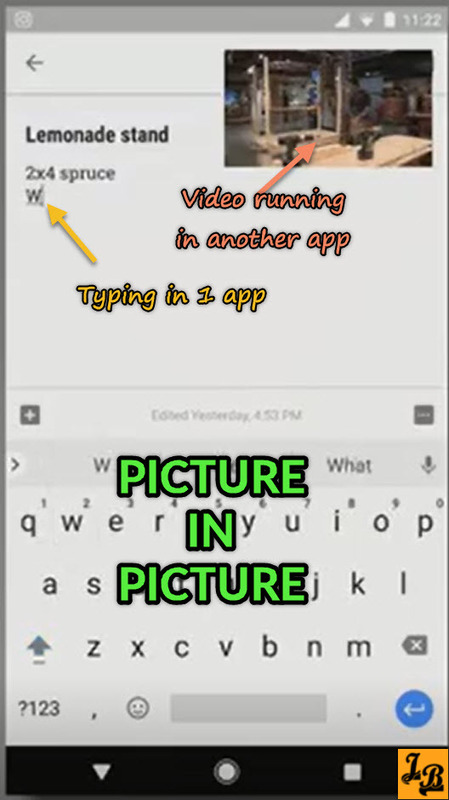 apps which are not being used by the user now, but are performing syncs/operations in the background. Although these operations are ‘legal’, i.e. allowed, but still cumulatively they cause a strain on system resources which on a mobile device are generally quite constrained. So, to limit this background drain on resources, Android O has introduced sensible/wise limits to background location and execution. In plain language, background apps will now not be able to slow down your mobile by eating-up available RAM and consume battery beyond certain sensible limits. Play Console Dashboard is a new web utility which will analyse every app and point out 6 top issues that may be affecting an app. These issues include – ANR(Application Not Responding) Rate, Crash Rate, Slow Rendering, Frozen Frames, Stuck Wake Locks and Excessive Wakes. In addition, new unified profiling tools have been added to Android Studio to visualize what’s happening inside the app for three performance areas – network, memory and CPU usage. This set of new visual profiling tools drill down to the specific runtime parameters which could be causing a lag in any of the performance areas. This will potentially provide a huge boost to debugging and fixing performance issues. There are plenty of new features and enhancements in Android O apart from those mentioned above. The beta version of android O is available for a try on android.com/beta. At the moment its compatible with only few handsets, so do checkout the device eligibility details and risks of trying a beta version of Android mentioned on the site before you have a go at it.